Fruits of C. dielsii usually (but not always) dehisce (open up) at maturity, as in this case. The result is a “display fruit”, which encourages animals (probably birds) to consume and then spread the seeds. The fruit in Columnea is almost exclusively an indehiscent berry. The berry is generally white and spherical, about a centimeter in diameter. It can sometimes be more colorful, but generally only paler colors such as pink or lavender are present, rather than bright red or orange. It can also be somewhat conical rather than spherical. On very rare occasions there are species with fruits that dehisce (split open on maturity). This includes C. dielsii that has recently been transferred to Columnea based on the work of John L. Clark. This species is usually located as sister to the remainder of the species, implying that the transition from a dehiscent fruit in all of its closest relatives (Glossoloma, Alloplectus, Crantzia, and Drymonia) to an indehiscent fruit may have occurred within the lineage, rather than prior to the majority of the diversification. Columnea trollii also has fruits that are nearly dehiscent (see discussion of section Pentadenia). 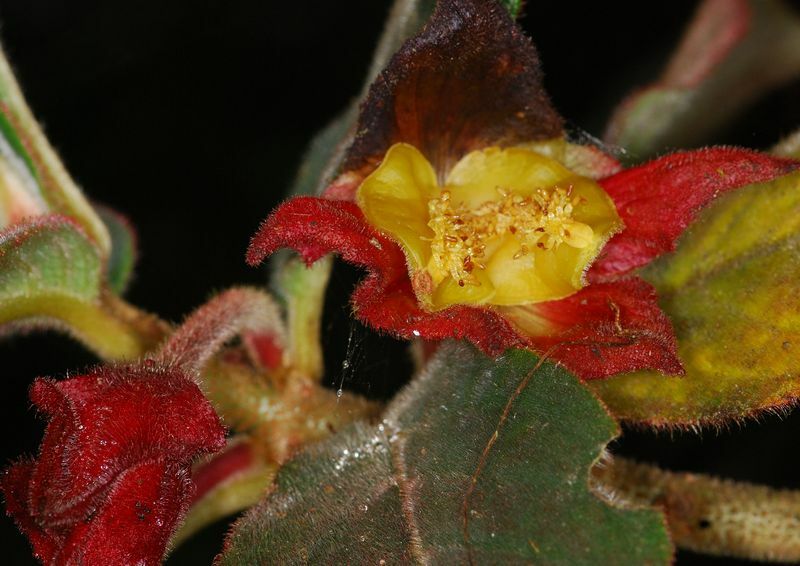 Indehiscent fruits remain a principal morphological factor separating Columnea from its close relatives, despite these exceptions. C. orientandina (left) has it all — pleasant yellow flowers, attractive marked foliage and large pink berries. 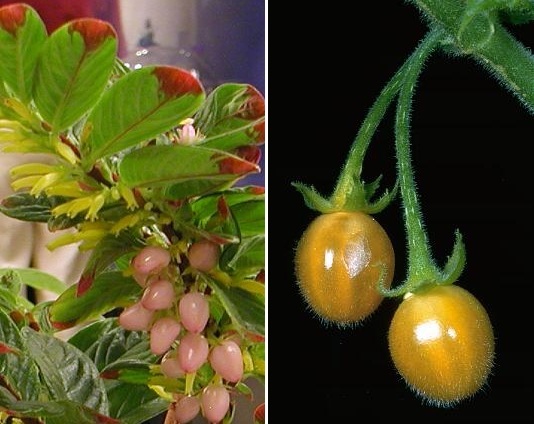 The berries of C. anisophylla (right) are unusual in Columnea, as they are bright yellow rather than a more sedate color.